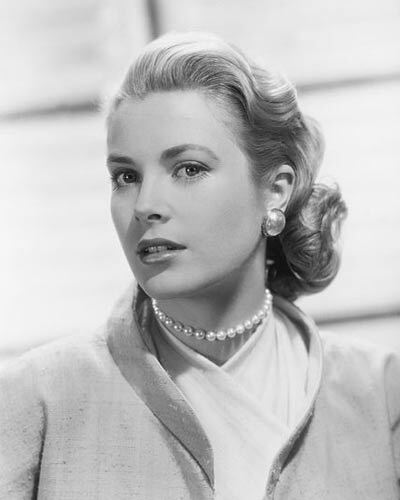 Grace Kelly was an Oscar-winning American actress who was a major Hollywood star in the 1950s. In 1956, after starring in eleven films, she retired from acting to marry Prince Rainer of Monaco. As Princess consort of Monaco, she fulfilled duties of her Royal position and set up a Foundation to promote the arts and help disadvantaged children. She died on 14 September 1982, aged 52 from a car crash. 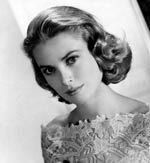 Grace Kelly was born in Philadelphia, US, 12 November 1929. Her father, Jack Kelly was a self-made millionaire, and also three times Olympic gold medallist in sculling. Her father Jack made a fortune from ownership of a successful east coast construction company. Grace had two sisters Margaret (Peggy), Elizabeth and a brother John. John followed in the athletic footsteps of his father competing in the 1948, 1952 and 1956 Olympics. He won a bronze medal in rowing 1956. Despite the sporting prowess of her family, Grace was never really interested in sport being more interested in acting and modelling. Although she did not fit seamlessly into her family, she later expressed gratitude to her parents for their open-mindedness and inspiration to aim for perfection. Her father was initially disappointed, believing acting to be a poor second choice for his daughter. Though ironically, Jack Kelly had two brothers – Walter and George Kelly (Grace’s uncles) who made an impact in cinema and drama. George Kelly won the Pulitzer Prize for drama for his comedy-drama The Show Off (1924-25), however, he became estranged from his family due to his homosexuality. In 1947, Kelly gained admission to the American Academy of Dramatic Arts in New York (helped through the influence of her uncle George). In October 1947, she began her acting studies, diligently practising in her room at night; she would frequently use a tape recorder to practise her voice. She stayed at a local women’s hostel in Manhattan, and gaining little financial support from her parents, supplemented her income through taking on modelling jobs with the John Robert Powers modelling agency. She had begun part-time modelling since she was 12, and was frequently in demand for her photogenic good looks, poise and blonde hair. She was reported to be one of the highest paid models in New York at the time. She made her Broadway debut aged 19, in The Father, by Strindberg. Her stage productions attracted the attention of TV producers, who were beginning to branch out in the post-war golden era of TV drama. Delbert Mann chose Kelly to play Bethel Merriday, a drama adaption of a Sinclair Lewis novel. Kelly exposure on TV and the stage led to offers of roles in films. Her first film role was a minor part in Fourteen Hours (1951). The film gained Kelly little critical interest, however, the famous actor Gary Cooper was taken with the young and charming actress, stating that he felt she had something special that other actresses didn’t. With Cooper’s recommendation, she gained her first big role co-starring in High Noon (1952), with Gary Cooper himself. In 1952, she was given a seven-year contract with Director John Ford. Her first film under Ford was Mogambo (1953), shot under location in Kenya. This won Kelly a Golden Globe Award for Best Supporting Actress and her first Academy nomination. She starred opposite Clark Cable and the success of the film helped cement her growing reputation. Her prolific run of successful films continued with her last Hitchcock film – To Catch a Thief (1955), starring with Cary Grant, who later paid tribute to the enjoyment of working with Kelly. In 1955, she met the Prince of Monaco – Prince Rainer III whilst visiting the principality as part of the Cannes Film Festival. Later in December 1955, Prince Rainer visited America and again met with Grace Kelly. After meeting her family and spending just three days with Grace Kelly, he proposed marriage – which Kelly accepted. But, she also had put a lot of time and effort into training to be an actress. Hitchcock, who eyed Kelly as starring in his future films was particularly disappointed as he loved working with Kelly. The marriage gave Kelly 142 titles (counterparts of her husbands). Titles which were read out in the ceremony. 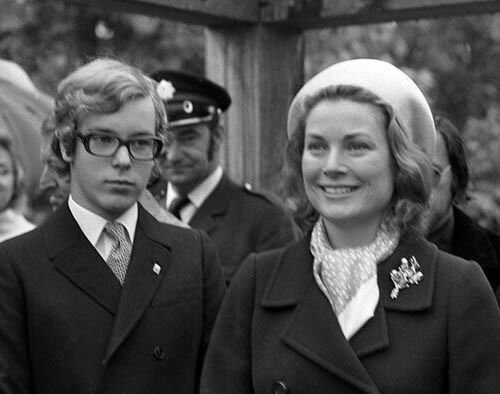 The title most used was Princess Grace of Monaco; she also received the title “‘Her Serene Highness The Princess of Monaco”. The wedding ceremony was attended by many of greatest celebrities of the day and was watched by record viewing figures on TV. 20,000 people lined the streets of Monaco to see the couple. After her marriage, she founded AMADE Mondiale, a Monaco based non-governmental organisation. UNESCO describes AMADE as promoting the spiritual well-being of children throughout the world. She also was active in promoting the arts institutions of Monaco and founded the Princess Grace Foundation to support local artists. Grace Kelly played an important role in revitalising Monaco as a centre for culture and the arts. Although moving to Monaco was a big upheaval after her life in Hollywood, Kelly grew into her new role. Despite her new Royal duties, film directors tried to tempt Kelly out of retirement. 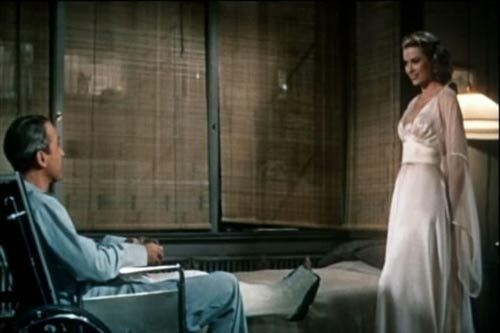 In 1962, Hitchcock tried to get Kelly to play the lead role in his film Marnie. It appears Kelly was keen to resume her acting role but was discouraged by public opinion in Monaco and her husband. She never returned to the screen. 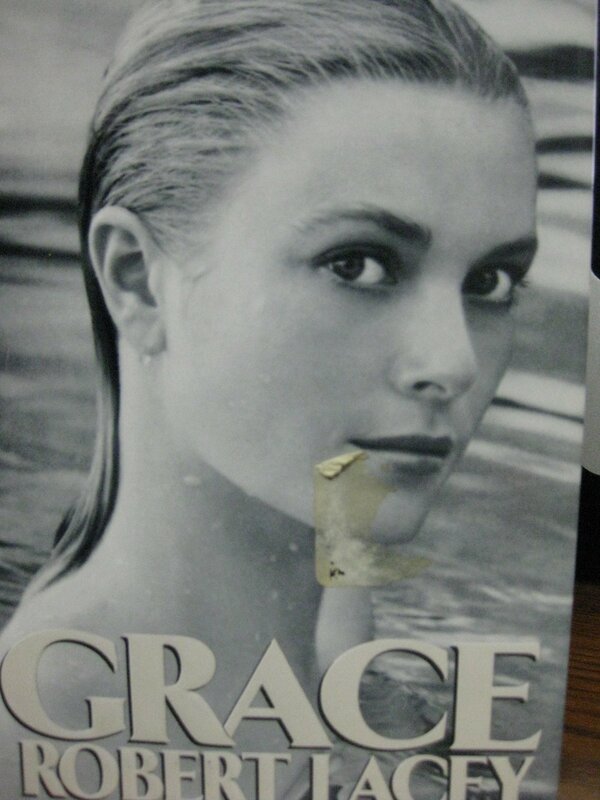 On 13 September 1982, Grace Kelly was involved in a serious road accident, after having a stroke whilst driving. Losing control of the car, she crashed down a mountainside. She never recovered consciousness and died the following day. Her daughter Stephanie, who was in the car, was injured but survived. She was buried in the Grimaldi family vault on 18 September 1982. 400 international guests attended the funeral, which included representatives from foreign governments and the Hollywood community. At her funeral, James Stewart read a eulogy. In 2014, a new film about Kelly entitled ‘Grace of Monaco’ was released at the Cannes film festival in 2014. Directed by Olivier Dahan it is a controversial biopic of her time as Princess of Monaco. Citation: Pettinger, Tejvan. 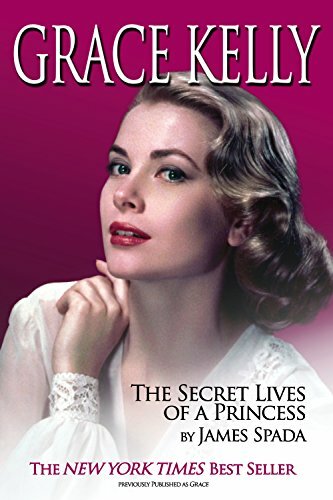 “Biography of Grace Kelly”, Oxford, UK – www.biographyonline.net. Published 15 August 2014. Last updated 1 February 2018.